The U.S. and Canada may no longer have this type of production all to themselves. 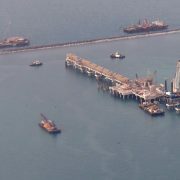 Bahrain discovered the first oil on the Arab side of the Gulf in 1932. 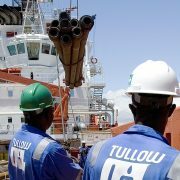 It took a long time for the small island to find anything of similar significance, but its recent announcement of an enormous shale oil resource under its shallow waters should not be underestimated: Commercial offshore shale oil production would be a first for the worldwide industry. 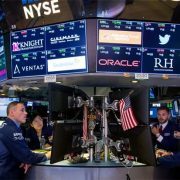 Perhaps more significant is that this discovery has the potential to boost Middle East output, while raising the odds that shale oil production outside the U.S. and Canada finally takes off. The Middle East has the advantages of good geology, existing petroleum infrastructure, and a lack of environmental or community opposition. To be sure, local producers will have to offer attractive terms to international investors to compensate for the higher costs and technical risks than their conventional fields, source fresh-water or use other hydraulic fracturing technologies, and develop or bring in service companies skilled in unconventional resources. But given that U.S. shale specialists have tended to stay at home, the Bahrain find offers interesting possibilities for large international oil companies as partners. Given their proximity, the newfound resources probably stretch into Saudi and perhaps Qatari waters. Saudi Arabia, with its own first find the Dammam field, lies just 25 kilometers (15.5 miles) to the west of Bahrain, the countries linked by the King Fahd Causeway. Some 20 kilometers to the southeast is Qatar. Though a holder of the world’s third-largest gas reserves, Doha’s mature oil production is slowly declining. Shale production could give it a boost if it’s able to sidestep the obstacles posed by an embargo imposed by Bahrain, Saudi Arabia and the U.A.E. since June. Halliburton said the resources found by Bahrain were on the “edge of the conventional-unconventional type of plays,” and it sounds somewhat like the famous Bakken of North Dakota. 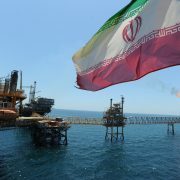 The mid-case estimate is for 81.5 billion barrels of oil and 13.7 trillion cubic feet of gas. Based on U.S. production numbers, five to 10 percent of the oil might be recoverable. 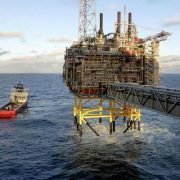 Good flow-rates will be needed to compensate for the higher cost of offshore wells, although it might be possible to reach at least some of the resources by horizontal drilling from onshore sites, or artificially-dredged islands. The main Middle East producers, such as Saudi Arabia, Iran, Iraq and Abu Dhabi, will not turn immediately to shale oil because of their giant, low-cost conventional resources. But several of them need new gas supplies. And shale oil is of great interest for the region’s more mature conventional producers — Oman, Qatar and Egypt — as well as for non-producing Jordan. If the current OPEC/non-OPEC pact endures, shale oil will dim the prospects for the smaller Middle East producers’ continuing adherence. Saudi Arabia has been seeking to develop shale gas for some time, with production starting in its remote northwest. Saudi Aramco’s general manager of unconventional resources, Khalid Al Abdulqader, said in March that the Jurassic source rocks in the Jafurah Basin, which lies between the world’s biggest oil field Ghawar to the west, the Gulf to the east and Bahrain to the north, were similar in quantity and quality to Texas’s famous Eagle Ford shale, which is estimated to hold 12 billion barrels of recoverable oil and 122 trillion cubic feet of recoverable gas. 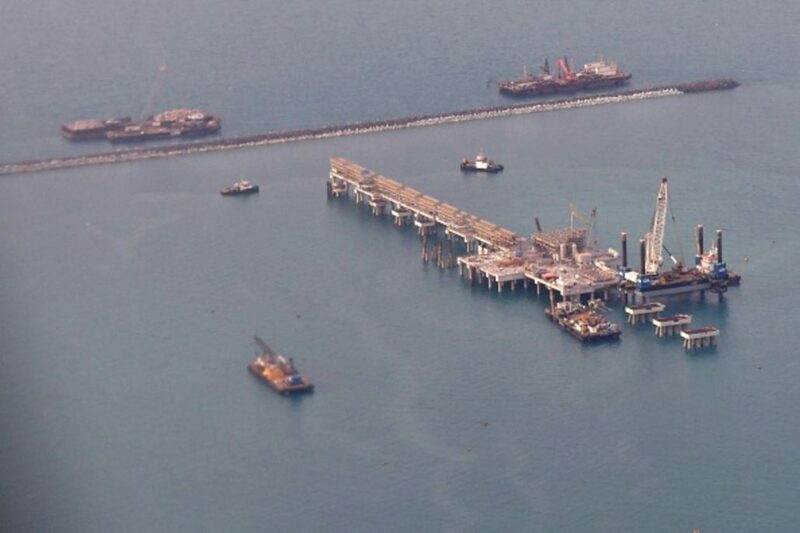 Kuwait has already begun pilot projects in its northern Jurassic resources, containing light, tight oil and sour gas. Oman’s liquefied natural gas (LNG) export facilities have been running at full capacity this year for the first time since 2007 due to BP’s development of its Khazzan tight gas field. LNG exporters, including U.S. ones, hoping to tap the Middle East’s growing energy appetite have to contend with growing competition. Bahrain intends first to appraise the discovery with the help of service companies including Schlumberger and Halliburton, which will drill two wells this year, and then to look for international partners. Shell has assisted with studies of LNG imports and is advising Kuwait on its unconventional Jurassic reservoirs. ENI, which has enjoyed recent success in deepwater Egyptian gas, held talks in Manama in May. 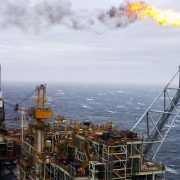 Total, ExxonMobil and BP, all with large gas projects in the wider region, could also be candidates, as could Apache and Anadarko, which are experienced in North Africa.